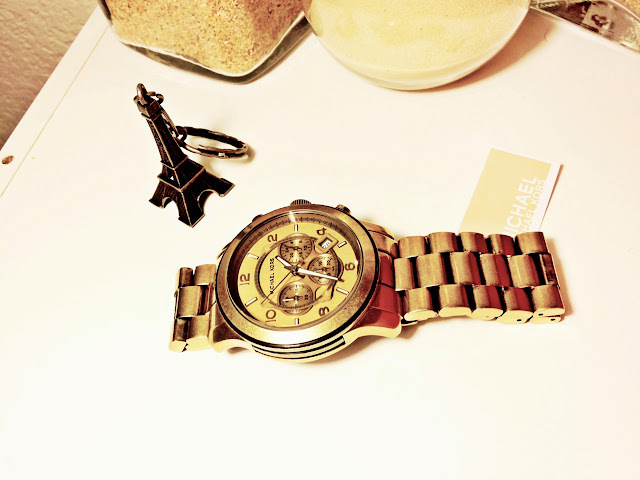 I have this obsessive fascination over Michael Kors watches and jewelry. 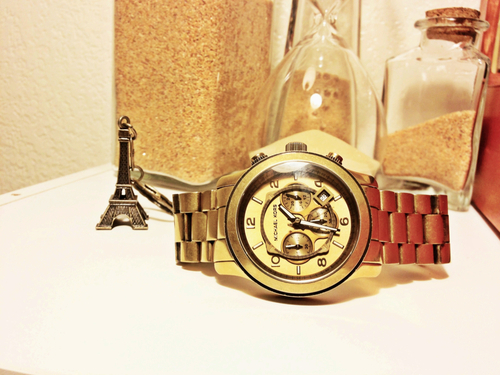 This is my 4th watch from Michael Kors; I have no regrets. When I saw this piece in the case, I thought it was olive green so I asked the associate to pull it out so I could take a look at it. I was just curious about why it was that color, I found it silly actually, only to be completely wrong. 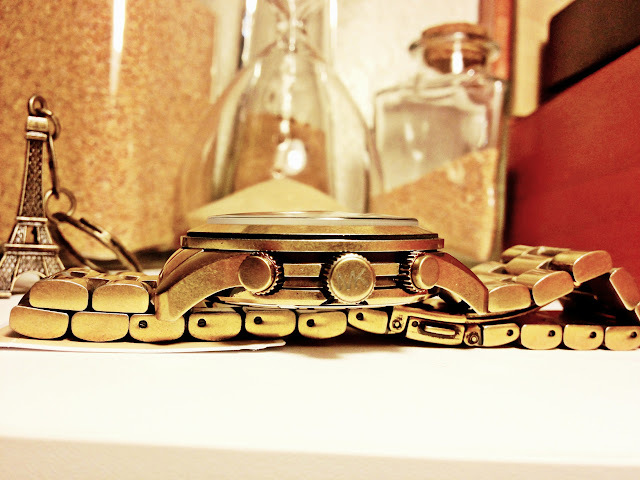 I fell head over heels for this watch when I discovered it was bronze (not olive green). I was so fascinated with the choice of metal. This bronze, almost antique gold, was so different and so unique. I've never seen any watch with this type of medal. Overall, I was intrigued with the tarnish look of the stainless steel. They had a bunch of other MK watches in the case, but this was the only watch with this type of metal. Of course, this watch came home with me shortly after. I own 3 other watches from Michael Kors in gold, silver, and rose gold, but nothing like this. I've always wanted a Michael Kors Runway Watch and now I have one. This is a advance birthday gift to myself since I turn 21 in 21 days! How exciting! Now that I own this watch, I want it in Rose Gold and Silver. Oh boy, I don't think this obsession is going to end anytime soon.